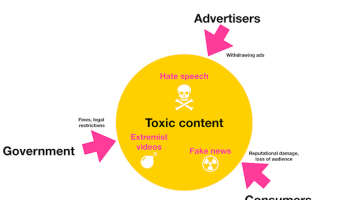 Digital advertisers and users are demanding toxic free content. The eco system is worried about the harm toxic content is causing to the society. Due to scale solving this issue is a challenge. Can blockchain help?